Lady Wynd is situated beside Edinburgh Castle in the heart of Edinburgh's Old Town with easy access to all Edinburgh's historic and cultural life .A central ground floor flat newly furnished and decorated throughout, sleeping up to 3 people. Lady Wynd is situated in the heart of Edinburgh's historic Old Town, just off the Grassmarket. 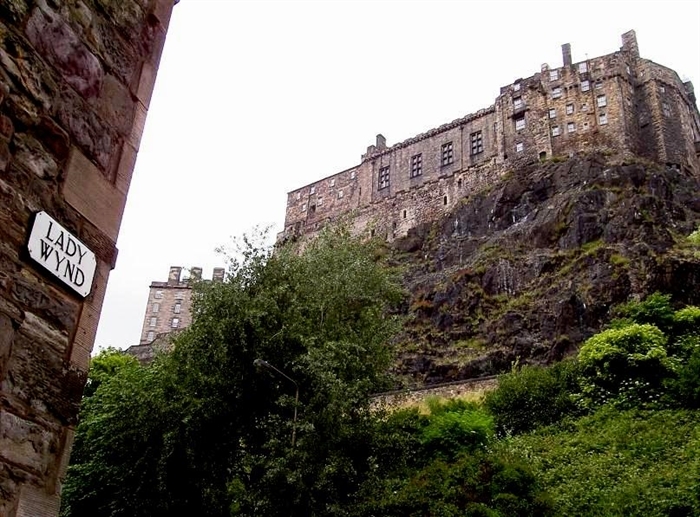 It lies in the shadow of Edinburgh Castle, and is within a few hundred yards of a rich variety of restaurants, wine bars and the city's oldest public houses. 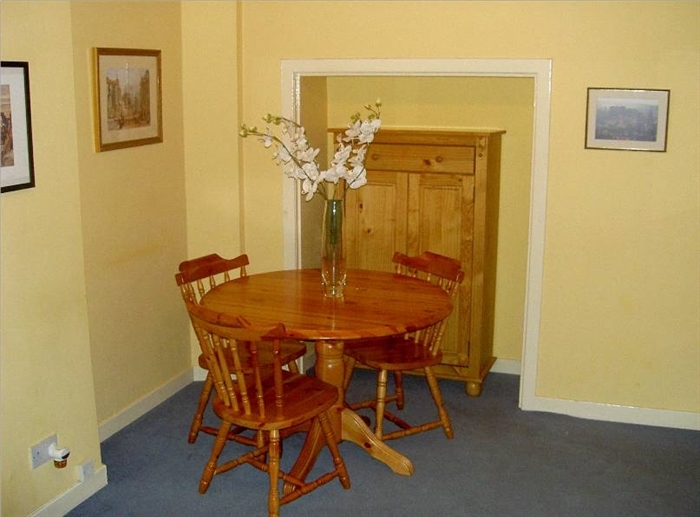 This is an ideal location for those who want to stay in the very centre of old Edinburgh's cultural and social life. Accommodation consists of a ground floor flat comprising one double bedroom, lounge/dining room with 25-channel cable TV/Video combi, fitted kitchen with electric cooker, microwave, fridge and automatic washing/drying machine, and bathroom/wc with bath and shower. A double sofa bed is provided in the lounge. 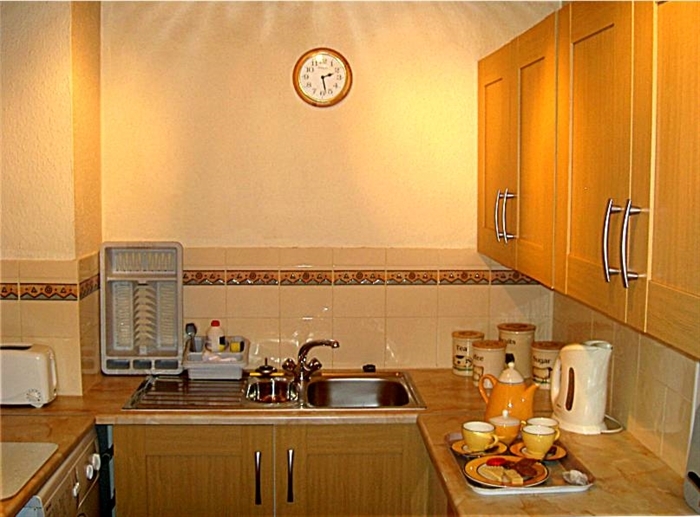 The flat is newly furnished, refurbished and equipped throughout and is provided with full electric central heating, telephone and free wi-fi. 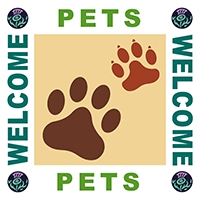 Electricity, all bedding and towels are provided free of charge. 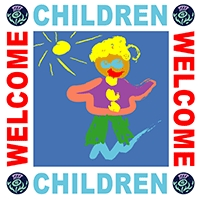 Children are welcome and a cot and high-chair can be provided by arrangement. Advance orders of groceries and other provisions can also be made by arrangement. Edinburgh Castle and other principal historical attractions are located within a short walk from the flat. The neighbouring Grassmarket area boasts the existence of Edinburgh's oldest eating and drinking establishments. The Lyceum, Traverse and Kings Theatres are situated within a few minutes' walk. Princes Street, with its extensive shopping facilities is reached by a five minute walk through the nearby beautiful Princes Street Gardens. A multi-storey car park, providing long and short stay parking facilities, is located within a few hundred metres. Short stay on-street parking is available outside the front door.